While using Linkedin, we highly recommend that you read and understand the terms and don't SPAM or you risk losing your account. The SECRET TO SUCCESS is to ALWAYS ADD VALUE to OTHERS LIVES by sharing QUALITY CONTENT which benefits THEM first! Do NOT SPAM! Instead use reciprocity marketing and attraction marketing. 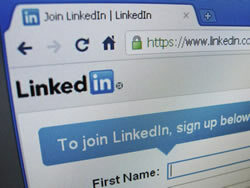 Interfere or disrupt or game LinkedIn or the Services, including, but not limited to, any servers or networks connected to LinkedIn, or LinkedIn's search algorithms.